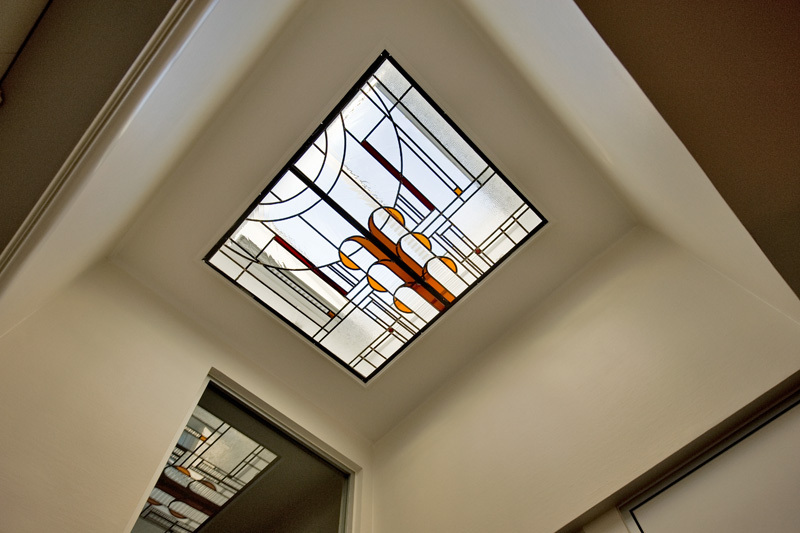 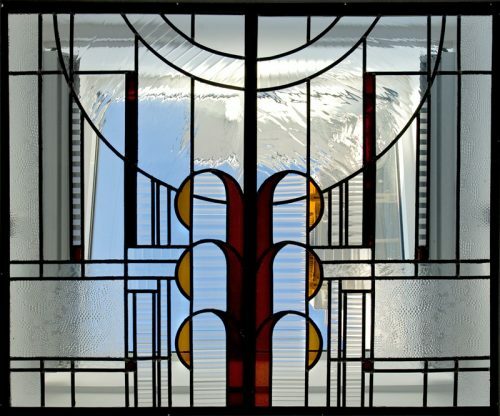 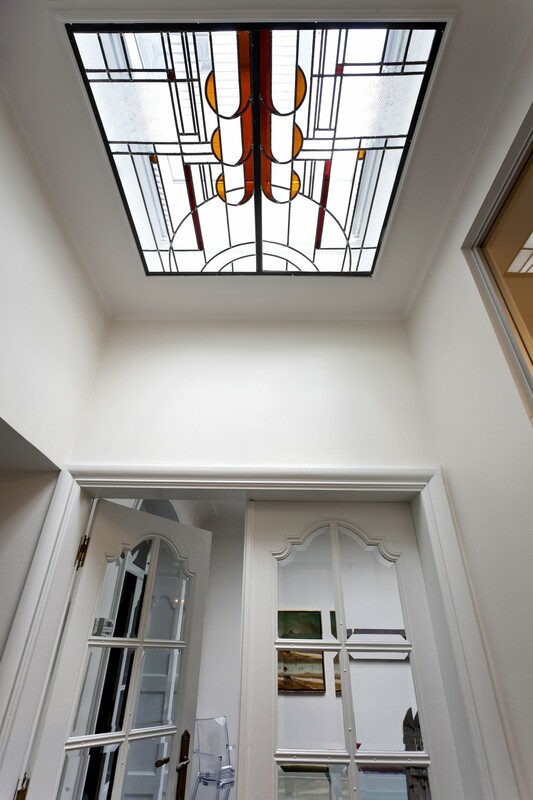 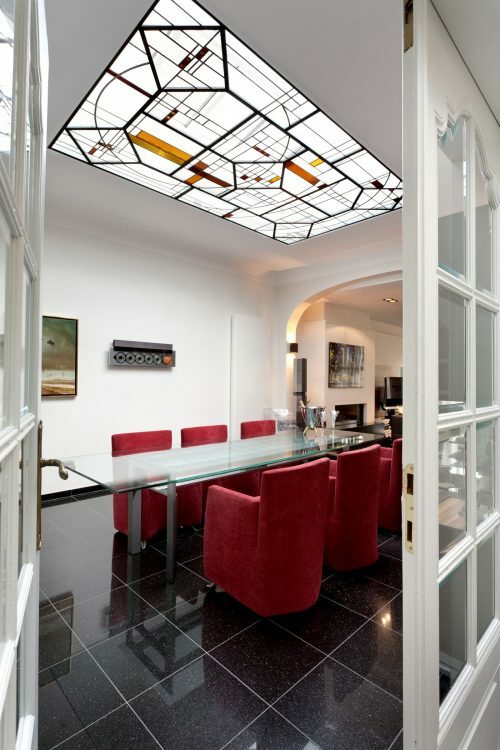 We designed a contemporary stained-glass window for an old mansion in Tongeren. 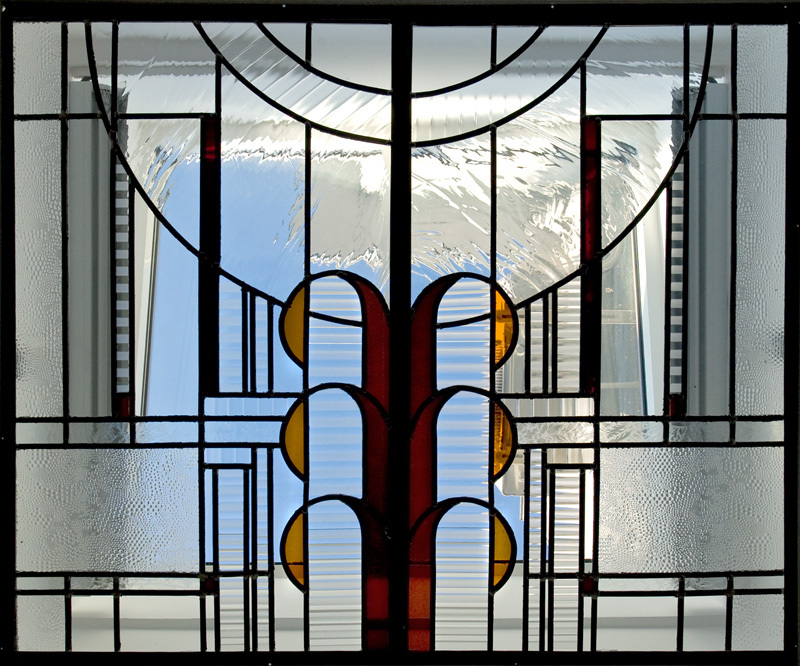 We had to take into account the existing iron framework. 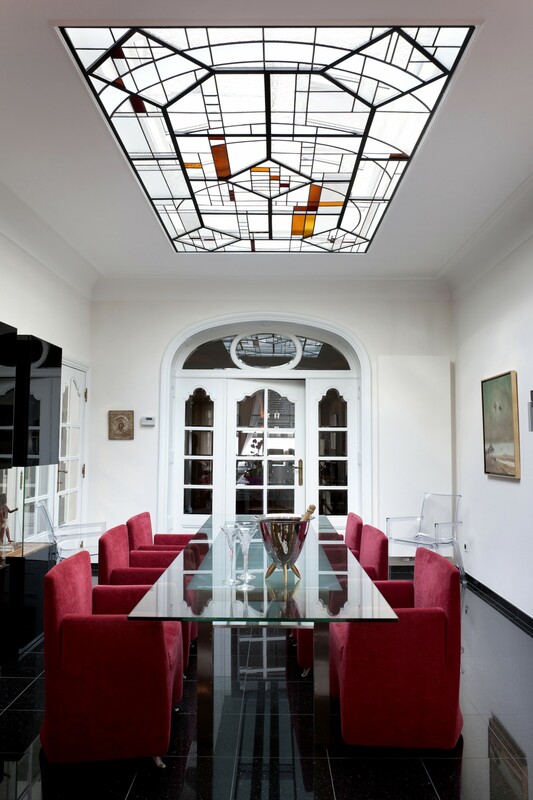 To maximize incoming daylight, we opted for clear glass with many different structures. We mounted dim lights between the glass panel and the skylight, so that the residents can enjoy their beautiful stained glass in the evenings as well.